It was only natural that the second ancestor be a woman who is dear to me. I call her “My Strong Black Grandmother”1. She is my maternal grandmother, the only grandmother I ever got to know, so I cherish the my memories of her. She was a beautiful woman. Her hair was long and her skin was dark like chocolate. I seemed to have inherited the chocolate skin color. It took me a long time to love the skin that I’m in. 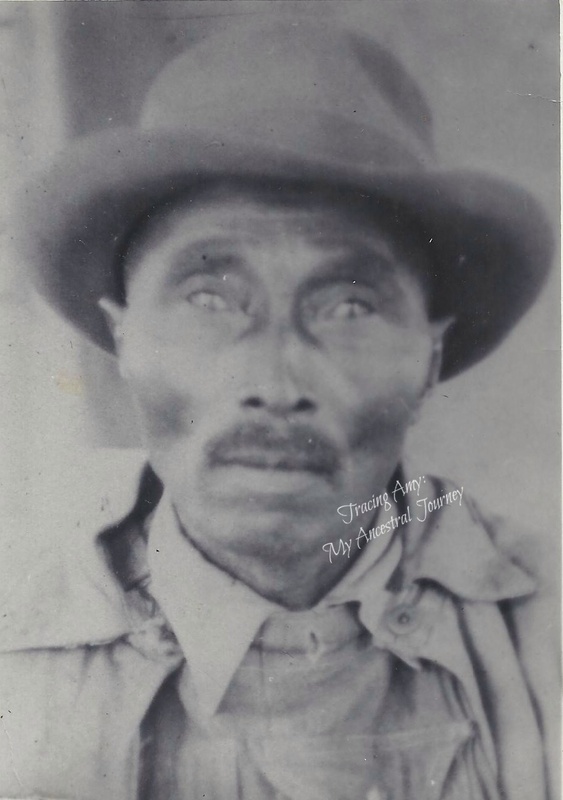 I now realize that my skin color is the perfect combination of my ancestors before me, so I now wear it proudly. She was a pleasant person and a Christian woman that was very kind, free-hearted, understanding, and lovable. She always spoke the truth and she definitely meant what she said whenever she spoke. Nothing ever got past her! At the age of nineteen, she joined Richard EDWARDS in holy matrimony on August 14, 19383. From this union came eight children and she began the long journey into motherhood: Mae, Richard, Jr. (1940 – 2013), Audrey, A.V., Jerlean (my mother), Willie, Levon, and Vernon (1956 – 1989). To me, she was a wonderful lady and a strong woman. She took care of her family with what she had. Even when my granddad grew ill and could not work, she managed to feed and clothe a household of eight children and tend to her sick husband on about $50 dollars a month. Can you imagine having to do that with eight children? She was a talented seamstress. She was also one to match her clothes. Her dress, shoes, hat, gloves, and purse matched. She made sure of that. She made sure that what she sewed was sewn right. This talent was honestly passed on to her three girls. It was also passed to me and my sister by my mother, but we don’t use it as much as we should. My mom says that grandma would teach them that if they were going to sew, they had to do it right. Whenever they made something, my grandma would inspect it and if it was not right, she would take it apart and they would have to start all over again. She sewed with perfection and it was during the tough times that she used her talent to keep clothes on her back and the backs of her children. When I was home, I found a pattern that she cut out of an old newspaper. It was a priceless find for me. It looked to be a pattern of a shirt for a small child. Based on the year on the newspaper, it could have been for one of us grandchildren. I guess I may never know. She was the sweetest grandmother a person could ever have. I remember when me, my sister, and my brothers visited her, she would bake chocolate cakes for us and put them in this tall white cabinet and inside was that glorious chocolate cake. It would be so good! To me, no one could cook like my grandma. She knew that cooking these cakes made us happy. She would also always give us money whenever we visited. She was a great grandmother, indeed. I believe it was around 1985 that she was diagnosed with cancer. At one point she was very sick, she got well and then sick again. She fought this degrading disease for five long years. On the night that she passed, I stayed with her, my mom, my uncle and my granddad. To this day, I can’t remember why I wanted to stay that night because we lived just across the street. But on that cold night, October 28, 1990, my grandma passed away4. She passed while I was sleeping. I knew she was tired and weak, but she was the only grandmother I had. My heart was definitely broken, but I now know that as long as I live, she will still live on in me. 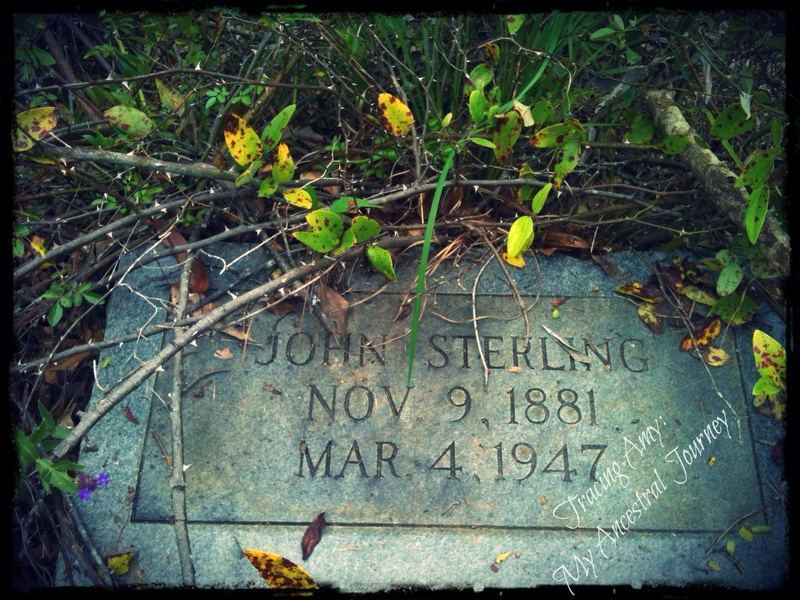 We buried her on November 1, 1990 at the New Hope Cemetery in Quitman, Clarke County, MS5. 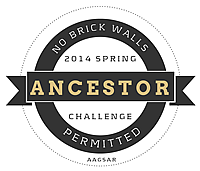 This is my second post as a part of the 52 Ancestors in 52 Weeks challenge, created by Amy Johnson Crow of No Story Too Small. 1. Pruitt, Amy, “My Strong Black Grandmother.” Typescript, 18 November 1996. Cole Family Papers, Georgia. 2. Mississippi State Department of Health, birth certificate 44945 (1921), Mauddie Lee Sterling; Vital Records, Jackson. 3. Clarke County, Mississippi, “Marriage Record, Colored; Book 7, 1932 – 1938”, page 608 for Richard Edwards and Maudie Lee Sterling, Office of the Clerk of Circuit Court, Quitman. 4. Mississippi State Department of Health, death certificate 123-90-20190 (1990), Maudie Lee Edwards; Vital Records, Jackson. 5. Maudie Lee Sterling Edwards funeral program, 1990. privately held by Amy (Pruitt) Cole, Georgia. 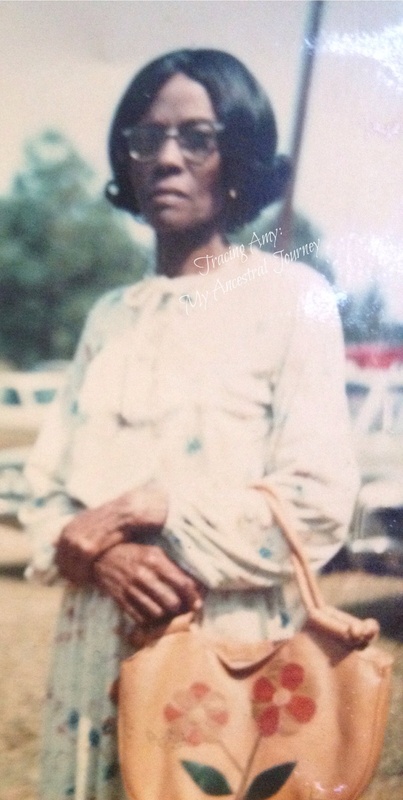 Amy L Cole, “52 Ancestors #2: Maudie Lee Sterling Edwards (1919 – 1990),” Tracing Amy: My Ancestral Journey, 02 March 2014 (https://tracingamy.wordpress.com: [access date]).